Doulas of Greater St. Louis is a safe space in which everyone can feel supported in a nonjudgmental environment. We are a circle where sisters share, inspire, cry and laugh with each other. Our meetings are a place to not only give, but to receive support. Our open discussions are a time when each of us can share our thoughts without interruptions. We come together with an open heart and mind. We listen to gain knowledge and understanding from one another. We are doula sisters, equal in our mission to support, inspire, and empower. Doulas of Greater St.Louis (DGSL) is a local organization that serves the Greater St.Louis and surrounding areas, as well as parts of the Metro East Illinois area. DGSL provides local doulas, regardless of experience or education, with support, fellowship and opportunities for furthering their education and skills. DGSL is a premier organization and strives to maintain the highest standards required by national certifying organizations, including DONA International, A.L.A.C.E., Birthing From Within, and B.A.B.Y, Inc.
Doulas of Greater St.Louis provides doula referrals to women in the local area who are interested in doula services. Women can review doula profiles and contact them directly on our Meet the DGSL Doulas page. 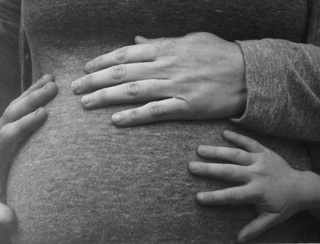 DGSL consists of Certified Doulas, Experienced Doulas, and Student Doulas. If you are interested in becoming a member of DGSL, you are welcome to attend one of our monthly meetings. This is a great opportunity to meet other local doulas and get a feel for what DGSL is all about. Should you decide to become a member, visit our DGSL membership page for more information or reach out to one of the officers listed below. Disclaimer: Doulas of Greater St. Louis, as a group, do hereby waive responsibility for behavior of any member while performing her duties as a doula. We are not a governing body, but a social support and networking group promoting community awareness about doulas and referral information about our members. However, if there is a need to file a complaint regarding one of our members, please do so with us and we will see to it that this member's certifying agency is notified. We reserve the right to refuse or revoke membership if there are concerns about a particular doula and her practice.